One of the most important aspects of building your ecommerce business is making sure that you are honing your efforts to target the right audience. Too often many ecommerce leaders waste time and energy on things like keywords that won’t get them any return on their investment. Is that happening to you? On this episode of The Amazing Seller, you’ll hear from Scott as he breaks down his approach to using longtail keywords to accurately target his audience. If you are ready to step up your keyword strategy, this is the episode for you – don’t’ miss it! Why longtail keywords are so important. As an entrepreneur, you are always looking for ways to improve yourself and your business. What if you could take your ecommerce business to the next level of growth by spending some extra time and energy on an area you are already working on? It’s true! According to Scott, if sellers like you could take a little extra time to niche down on your longtail keywords, that could be just the thing that pushes your brand over the top. To hear why longtail keywords are so important and what you can do to take full advantage of this important aspect of your business, make sure to listen to this helpful episode of The Amazing Seller! How to conduct keyword research. 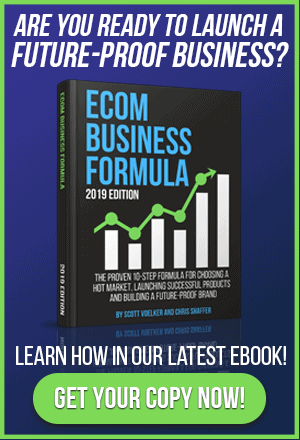 What does it look like to go through the whole keyword research process in the most effective way for your ecommerce business? Are there any shortcuts and tips that you need to know? On this episode of The Amazing Seller, Scott goes over his process by giving concrete examples that will help sellers like you get a grasp on the process. Don’t over complicate it! 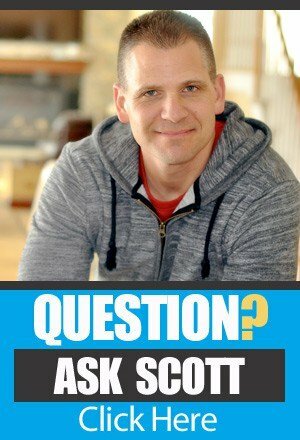 Take the time to learn from Scott’s helpful advice and learn what he’s done, you don’t have to reinvent the wheel. As always, if you have any questions or if you need some additional detail, make sure to connect with the TAS community and reach out to Scott! A helpful tool you can use with keyword research. Have you ever had a moment where you wished someone would develop a tool that would help you improve some of the more laborious processes associated with building your ecommerce business? You are in luck! On this episode of The Amazing Seller, you’ll hear from Scott as he explains how Jungle Scout has worked hard to develop a tool that can help sellers like you improve your keyword process. Make sure to check out the link to the Jungle Scout tool that will help you cut through the more clunky aspects of keyword research by checking out the link in the resources section below! Don’t be afraid to go deep! The life of an entrepreneur can be a risky one and no one would blame you for playing it safe, but where has playing it safe taken you? If you want to see results, you’ve got to be willing to try things you’ve never done before! One of those important steps you can take is to challenge yourself to go deeper and work to hone in on more specific longtail keywords. It may seem challenging but it’s worth it! What are you waiting for? Listen to this episode of The Amazing Seller to get all the insights and tips you need to move your ecommerce business forward, don’t miss it! [2:30] Why longtail keywords are so important. 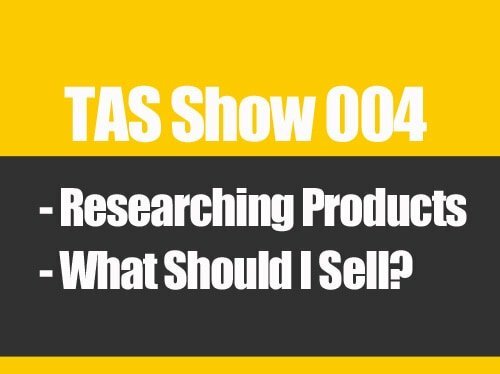 [5:00] A great tool you can use for keyword research. [6:00] How to conduct keyword research. [10:00] Scott breaks down how to find keywords and a goes through a helpful example. [15:00] What should be your goal when it comes to keywords? [22:00] Scott talks about his test budget for this keyword experiment. [25:00] Go deeper and be specific! …long tail keywords to rank on Amazon and in my opinion, this is a missed opportunity because so many people including myself at times are looking for those money keywords, those keywords that are going to bring all the traffic and they’re going to bring all the sales and the thing is, is there’s a handful of those and everyone is trying to rank for the same keywords. Well, what if you can go out there and find keywords that are totally relevant like so relevant that when someone sits down at the computer or their smartphone and they type in a certain keyword and then they find your listing and then they buy like we want that situation. We don’t want to be so broad that someone has to stumble across it or be like, “Oh, that’s kind of cool. That’s a good idea.” They weren’t really searching for it. So, the longer that we can make those keywords or the long tail as we call them, it actually makes it more targeted and I just did an experiment just about two-and-a-half weeks ago now. 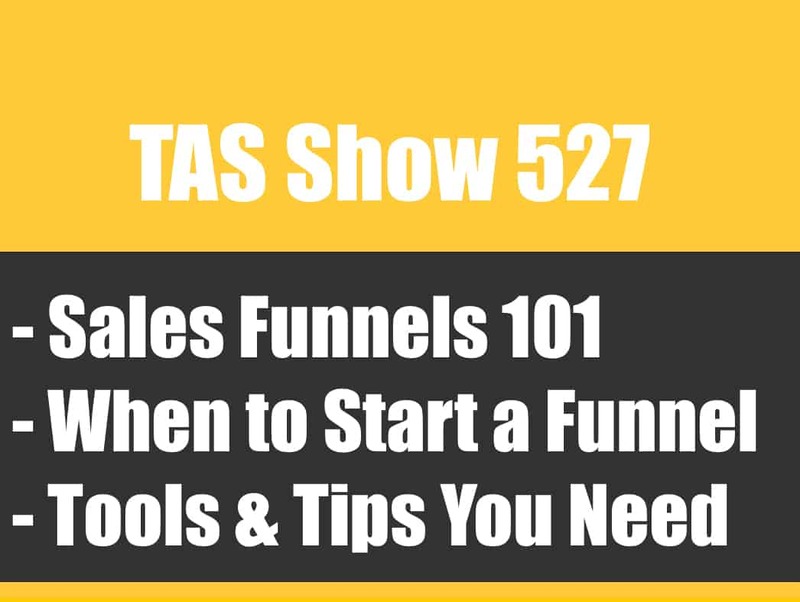 That’s why I want to record this because I want to give you some of the data and some of the sales numbers, not huge numbers but it’s really exciting because we can broaden this, we can find a whole bunch more of these. And I’m also going to share with you a new tool that has just come out not that long ago within the past month and I’ve had some time to play around with it and now I’ve tested it and it’s actually resulted in some new sales using these long tail keywords and it’s a little bit of a different approach. So, I’m going to be talking about that in today’s episode. Now, the show notes can be found at TheAmazingSeller.com/540, transcripts, show notes, links all that stuff, and I’m going to be doing a demo of kind of going through and finding some of these missed opportunity keywords, in my opinion, these long tail, and I’m going to be showing you that. [00:02:07] Scott: So, I’ll embed that in the show notes as well. I’ll be doing that on YouTube so depending on if you are following on YouTube, you can go there to the channel. It’ll be posted there, and I’ve also got something that I’m not 100% sure that’s going to happen yet. That’s why I don’t want to officially say that it’s going to be there, but I may be doing another little training on how to find these long tail keywords. And I think that is really the missing opportunity that a lot of us are not taking advantage of. If you spent a little bit more time digging down and really niching down, it can be really worth your while because over time you’re going to be able to and I’ll demonstrate that here in this example on if you can go out there and find multiple ones of this and just keep building your arsenal of all these long tail, your sales can come in from all of these miscellaneous keywords that aren’t that competitive. Again, think about like garlic press, that’s pretty competitive. Stainless steel garlic press, still competitive but not as much. Or long handled black stainless-steel garlic press is a little less competitive so you get where I’m saying there. So, that’s kind of what we’re talking about long tail like long tail just means usually that it’s longer. It doesn’t mean that there’s a specific number of characters or a number of words. It just means that it’s a little bit more niched down, a little bit more targeted. I use this example a lot like some people will go on and they’ll want to go after like accessories and I think that’s a great way to get ideas and, yes, you want to show up there but to really go and advertise or put some of your pay-per-click spend on accessories, it could work but a lot of times it doesn’t because if someone is just searching for accessories, it doesn’t mean that they’re looking for your accessory. [00:03:53] Scott: So, if someone was buying something for the Vitamix blender and they just said “accessories” they could want, I don’t know, they could want a new pitcher, a new glass or actually it’s plastic pitcher or maybe they want the top because their top got damaged or maybe don’t want a new fitting underneath because the gear has worn out. Or maybe they need a new button. So, those could be accessories related to that but if someone was searching for Vitamix replacement gear, that is more targeted if you sell a gear. But if someone is searching for a gear and you sell a pitcher, they could buy it, but they might not either and they’re probably not going to because they’re not ready for it. They don’t need it. You got to remember when people go to Amazon, they are searching usually for something in particular. They’re looking for that one thing. Now, have I went on Amazon and then went looking for something and then bought other things? Yes, but a lot of times it’s related to that purchase so that can happen but it’s not as direct. We want to go and try to find these direct keywords. Now, there are some free ways you can go out there and you can find some keywords and then you can test them in pay-per-click and I’ll give you an example on how you can do that and then you can start to see the numbers. This new tool which was actually created by Jungle Scout which you guys that are already running Jungle Scout or the web app, you already have this. They actually built it in so it’s part of the web app now. It’s what they call Jungle Scout. I believe that’s what they’re calling it. And if you guys want to check that out, I will give you my affiliate link and you can go check it out and you do get some additional features there and a little bit of a discount if you go through my link which I am an affiliate. You will buy me a cup of coffee. I’m totally transparent about that but that can be found at TheAmazingSeller.com/Scout and that will take you there to the web app and you can check that out. You can again like I said, I mean, Greg is great over there with Jungle Scout and he’s got great tools, a great team, but what they’re doing now is they’re able to and this hasn’t been really done in the past is where they’ve been able to find numbers that are accurate that are actual searches being done. [00:06:12] Scott: Now, the way that we can do it if we want to do it kind of like the old-fashioned way let’s say or a way that’s a little bit of a hack is you can just guess what would the keywords be or you can go to something like, I don’t know, you can go to let’s say Google Planner where you want to do different keywords. Well, you can go there, and you can type in and get ideas. You can use merchant words. You can use any keyword tool for that matter. Just type in “garlic press” and then see what all of those other related searches could be and then from there you can take those keywords. So, let’s say that we had black handle stainless steel garlic press. Let’s say that we wanted to see if that was being searched for. So, what we could do is we could set up a campaign inside of our pay-per-click campaign or in our sellers account we can create a campaign in sponsored ads and we can then run an exact match for that. So, we just want to know that that exact search is being searched for. So, the way that we would do that is we would set a bid of let’s say $1 or $2. If you really want to know, you would set your bid high, set your campaign amount low like maybe $20, $25. That way it doesn’t get out of hand and then you would just drive some traffic using that exact phrase. Now, the key here is using the exact phrase meaning that if someone has to type in that exact word or the words that are making up that long tail keyword so that’s what you’re going to have to do. So, inside of there and this would be a way to get the exact numbers because you’re getting the feedback or the data back from Amazon is what you do then is put that in there “long handle stainless steel garlic press” and then you would drive some traffic using that keyword. [00:07:59] Scott: Now, you would wait a day and then go back and go, “Okay. How many impressions were displayed?” Well, that tells you how many searches pretty much are being done. The next result would be how many clicks but with the impressions that just says that someone searched for this. The only way that they’re going to be able to give us an impression is if someone actually searched for that. Now, if I did phrase, that wouldn’t be as accurate because that could be something that’s got that in it but there’s going to be other words that could be associated with it. If you’re using a broad search term or keyword, you’re then also allowing them to kind of guess at what other related ones would be. So, what you would want to do here is use the exact match inside of your pay-per-click campaign and then you would want to drive traffic using that. Now, if you don’t get any impressions, that can be one of two things. It could be that there isn’t a lot of search for that or it could be you’re not bidding enough. So, the next thing would be, okay, if you’re not getting impressions at $2, maybe you need to bump into $3 and then see and then you would know. Now, with the new tool inside of Jungle Scout, these numbers that are coming back are right from Amazon, so those numbers are coming from Amazon so this way here we’re able to kind of get an idea of how many searches are being done. Now, of course, we would then want to take those keywords, search terms, and then we went on put them into a pay-per-click campaign and then we would want to do the same thing, drive traffic to those, and that’s exactly what I just did. And I’m going to give you those results here in a second and then we’ll talk about that in why this is powerful and then kind of like what’s the next step like what’s the next thing that you could do to keep expanding this. So, let me give you a little bit of the play-by-play and I’m going to pull up my account right now on this one campaign and I’ll give you some examples on how we can do this in the fishing market if we were to do that. [00:10:04] Scott: So, right now I did some searches and again let me back up a little bit and tell you how the tool actually works. You can find keywords two different ways. One, you can do a reverse lookup or a reverse ASIN lookup and basically what that’s doing is you’re taking a competitor or someone that’s selling something similar to yours and then from there you’re taking the ASIN, you’re putting that in and then you’re clicking enter and then it’s going to go ahead and start working on that listing and then it’s going to pull in the data from that listing. That’s kind of how I found these keywords, but I found a product that was very, very similar and I use that as the one that was going to collect the data. Now, one little tip here, you want to find a listing that’s got some search history meaning you don’t want to find something that’s only a month old. You want something that’s been around for a little while because the more data that you can get, the more searches you’re going to be able to explore. So, that’s what I did. I did that with about two different ones and I picked eight keywords, long tail keywords that I thought were going to be a good fit. So, then what I did is I dump them into a campaign. It’s only been just about two weeks and let me just say that so far right now out of those eight keywords there is five of them that all converted to sales. And on the first one which has four words in it, that one there has gotten 13,464 impressions, it’s gotten 77 clicks, and it’s resulted in six sales so the ACoS for that is 45.55% on that one. So, not too bad, not great but not too bad but the cool thing is now I’ve gotten six sales through that long tail keyword and guess what, I’m going to be able to start ranking for that keyword. So, now when someone searches for that and I show up whether that’s in paid or whether that’s in organic, there’s a pretty good chance that they’re going to buy mine because right now I’ve already kind of proven that. If someone searches for that thing, they’re buying my thing. [00:12:08] Scott: It’s not a bad ACoS but it’d be nice to also reduce that down and then also start getting some organic on that side of things. But again, the search number on that one was kind of low. It was telling me that there’s not a ton of searches and I’ll go through that here in a minute. Let me go to the next one. So, the next one has three words and that one there again this is an exact match campaign and I started my bid at $1.25. Let me back up. In the first one that I shared with you, I only spent $0.92 a click and I got 13,464 impressions, 77 clicks resulted in six sales. Now, the next one this one had a lower number, and this is what’s interesting and some people would say like, “Wow, you’re not getting a lot of impressions.” This one here had 1,152 impressions, 19 clicks, $0.97, and the ACoS is 26.85%. Not bad. I’ll take that all day long. Let’s move to the next one. This one here has three words as well. $1.25 was what I bid. I got 2,375 impressions, I got 13 clicks, $0.93, two sales, 22.71%. Nice. Let’s move on. The next one I have is four words that make up this long tail. Again, exact match, $1.25. Get this, I only got 375 impressions, seven clicks, two sales, 15.49%. Now let’s move on. I got another one here which has again four words that make this up, $1.25, only 1,555 impressions, 16 clicks, $0.81, two orders, 31.97%. [00:14:01] Scott: So, across the board, out of those five keywords I’m averaging 34.74%. Not terrible. But what also brought that down was I’ve gotten three other keywords that have gotten no sales. There’s one that has three words and has gotten 951 impressions, two clicks, $0.88 so I didn’t get any sales from that. And then the other one is four words and 95 impressions, one click, and $0.63 for that one click. And then another one was only two words and that one there 564 impressions, two clicks, and I paid $0.80 for that click with no sales. So, three out of those five didn’t get any sales, very low impression, only a few clicks but across the board, we averaged 34.74% for a two-week little test so we’ve added 14 sales. That’s two sales per day from doing this. Okay. Two sales per day, not 100% profit. Well, it is profitable because at 34%, yeah, we’re definitely profitable on that because our cost on this particular product we’re probably approaching 46% to 47%, maybe even close to 50% is our margin on that. Okay. So, this is just one little test. Now, I did this before I went and kept digging deeper. My goal and your goal should be find more of these keywords that are long tail and now what I might do is I might take those three that didn’t really do that well. They’ve gotten low impressions, couple of clicks but no sales. I may either just say, “You know what, I’m going to let that run another week and see what happens,” or I may just reduce the cost per click on those maybe down to $0.50 and then this way here if I still get impressions, if I get a click, I can get double the clicks maybe. Maybe that’s what it’s going to take. But the one thing I want you to understand is a lot of these impressions are very, very low. We’re talking like less than 200 impressions a day but it’s resulting in sales because why? They are super, super targeted. [00:16:13] Scott: Again, the example, if I’m selling fishing lures but if I want to go after the bass fishing market with my lure then I’m going to go after bass fishing lure or something like that. Actually, I pulled up an example here and I put in this here. Trout fishing gear so that’s like a broad one like most people would like to say, “Okay. I’m going to go out and I’m going to maybe get a vest. I’m going to get a net, I’m going to get a pole, whatever.” It’s a whole bunch of stuff that could be but then what that brought back as far as inside of Jungle Scout, inside the web app in the keyword scout portion, I have rooster tails for trout. That only gets 145 exact matches a month, searches. But if people are searching for that and I sell rooster tails for trout, do you think I’ve got a pretty good chance of making a sale on that? And then the other thing is, I did this too, I typed in “rooster tails for trout”, guess how many competing pages or listings are for that? Only 260. So, do you think it’s going to be easier for me to rank against 260 different listings and they’re not all going to be my competitors, some of them aren’t going to be, but some of them are? But it’s going to be a lot easier for me to be able to rank for that keyword because there’s a lot less pages competing for that. Let me move down the list. Trout fishing vest. So, if I sell a vest, that is probably going to be one that I’m going to want to put in as an exact match, trout fishing vest. It gets 111 exact matches. Rooster Tail lure, so that would go again with the first one. Okay. So, rooster tail lure. Only gets 85 searches a month so let’s call that three searches a day. [00:18:06] Scott: Not a lot. But guess what? If someone searches for that and I’m there, there’s a pretty good chance I’m going to sell it. Rooster Tail lure. There’s another one. Rooster tails fishing lure, 68 searches. Rooster Tail spinner, 55 searches. Fishing rooster tail, 21 searches. These are very low. Most people would discard these. They go, “Eh, they’re no good.” And let me just say this. These are the searches that are coming in. I’m going to do something right now on the fly and I am going to, let me put in here right now, I’m going to put in the impressions that I’ve gotten in the matter of two weeks which is 1,152 impressions and right now I’m going to go ahead and type in the same keyword and it’s telling me that for the exact, it’s getting about 257. So, technically, I should’ve gotten less so actually keyword scout, in this case, was under what it was suggested. So, it’s saying 257 is about what I can expect. I actually did this or I took that exact same keyword, the exact same one, and I went and I ran the campaign with that. I bid $1.25 and I’ve gotten 1,152 impressions, 19 clicks, and two sales at 26.85% ACoS. So, what I’m saying is use this tool to find those actual keywords that could be potentially the ones that are going to be getting you low traffic, and I’m using the air quotes, but in this case a lot of times it’s going to get you more because this again is taking the past history but maybe right now we’ve got maybe it’s an uptick, maybe it’s an uptick in traffic or impressions. [00:20:04] Scott: So, all I’m saying is you need to test it. It may work well for you. It may not but you’re not going to know until you put it in play and I like to do it this way now because I’m at least getting some data upfront, so I can say, “Okay. I don’t want to go after the one that’s getting thousands maybe because it’s going to be so competitive, but I want to go after the ones that are getting a couple hundred exact matches.” Now, it does give you the broad match search volume, the exact match search volume. It also gives you the category. It also gives you a recommended giveaway or discounted products that you should give away sales per day in order to rank for that keyword. It gives you that as well. It gives you the exact pay-per-click bid that you should start with. In this case, it told me $0.50. I did $1.25 and that it gives you the broad pay-per-click bid and then the relevancy score, it gives you. Okay. So, all of that stuff is built in now to the web app in Jungle Scout. So, I would definitely give that a try. If you can add an extra two sales profitably and again I’m just getting started in this, would it be worth your time to do this? Now, I’m going to be exploring this more. I’m going to be broadening this. This is another thing that you should be doing just to keep adding more to your product because a lot of people they think that they’re only going to find those five keywords. That’s the only five keywords that people are searching for. But if you can find a whole bunch, I’m saying like 100 different keywords like this, I mean, do you think that you can get to 10 sales per day just with using this? I do. Like, this is pretty exciting stuff to be able to do this. Now, we would never generally ever go to an exact match until it’s been proven that it’s been converting to a sale, but I just tested this myself and out of eight keywords, five of them converted. So, I’m kind of speeding up the process a little bit but I’m using a small test budget as well and let me just give you that budget. [00:22:01] Scott: So, that budget on that one right there I believe I am spending let me go back once so bear with me. I want to go back and see what I am spending, let’s see, per day. Bear with me. I’m doing this on the fly. I’m not going to edit this out. That one there I’m $25 a day. So, $25 a day and let me see. So, how much am I spending on that one yesterday, the time of recording this? I only spent $12.79 and my average cost per click was $0.80 and I got 1,990 impressions yesterday with 16 clicks and there are no sales reporting yet because obviously, it was only yesterday. Let me do last week and see what happened there. So, yeah, that one there not bad. 9,000 impressions. I spent $51. Actually, the ACoS on that one is actually better. It was 40 so it went down. It’s getting better and I’ve had five sales. So, last week just under one a day last week but still I added one a day. So, again it’s like pay-per-click is always going to be changing as far as like you can’t always count on every day is going to produce this but as long as your ACoS is there and you can keep building to that, you’re going to have some weeks that do really well and some weeks that might just do okay but you’re going to find those winning keywords and then the losing keywords and if I go into my exact campaign right now, I’m going to do this on the fly, and I will see that actually last week two keywords are the ones that converted. One of them converted three orders with, let’s see, that’s a four-word keyword and then the other one is one that wasn’t even in the mix before. That one’s crazy. Okay. This is nuts. This one here I had four words and that made up the keyword, exact match, only 183 impressions, three clicks, and two sales. Guess what the ACoS was? 7.17%. [00:24:06] Scott: That’s insane. And the first one was 35% on the ACoS so total was 40. Now, there was some that got 494 impressions with one click at $0.75. That didn’t get a sale. Another one got four. That one there was 42 impressions with one click but again think about that. 42 impressions in one click at $0.63 like I’ll take that. I mean, if I got 10 of those clicks, I might convert to one. At $0.63 that’s probably going to be worth it. So again, it’s something to test. I just wanted to share this with you because I think that if you do something like this even as a small test, you can add one or two or even three or more additional sales profitably that can also start to help you rank and really broaden out the long tail reach of your products. Don’t just bank on the one or the two or even just the three keywords or the words that make up your keyword. Go deeper, try to get more specific. Like, I use that example with the trout, the rooster tail. Rooster tails for trout like do stuff like that versus just being trout fishing accessories. What is it that you’re selling? If it’s the Vitamix example again and I sell a replacement gear, don’t you think I should have replacement gear for Vitamix in there like somewhere? Or Vitamix, well, if I don’t want to use the brand name, you can use the brand name, but you just can’t say that you’re selling it as an authorized dealer or something like that or playing off the brand, but you could say replacement gear for a blender and then you can say “fits Vitamix” or “Ninja” or any of the other ones. They do that all the time with water filters and stuff like that for Whirlpool or any of that stuff. You’re not saying that it’s an authorized product from them. You’re just saying it fits that product so just be careful there but it’s something to think about. [00:26:02] Scott: So, anyway, wanted to share this with you. You can tell I’m pretty excited about it. And I’m excited to just keep testing this stuff because this is just one product. I’m going to do this with multiple products now and this one here I’m just getting started. I’m going to add more now to it. Like I said, we went with eight keywords. We’ve got five of them that converted. This is a two-week test so far. Things are really looking really, really good and I’m really hoping that this is also going to help broaden the reach, the net we’re going to cast out there in the marketplace. So, when someone sits down and they’re searching for this specific thing and I pop up whether that’s paid or whether that’s organic, they’re going to buy because it’s so in line with what they’re searching for. All right. So again, get these ideas by going to a free search tool. If you want, use pay-per-click to do it and then get the data back or go try the Jungle Scout, the new scout tool inside of the web app. You can find that by heading over to TheAmazingSeller.com/Scout and like I said, you’ll get some additional goodies there as well so definitely check that out and, yes, you will buy me a cup of coffee which I appreciate. You guys know that. And also, I’m going to be linking up a video where I’ll kind of walk you through some of the features but also, I’ll give you an example of me running through maybe doing more in the fishing market or maybe the Jeep market. I’ll do that in a video so just go to TheAmazingSeller.com or/540 and I will include it there in the show notes and you can download the show notes by the way and you can get them there as well. All right. So, guys, that is it. That is going to wrap up this episode. Get out there. Start digging for those long tail keywords. All right, guys. So that’s it. That’s going to wrap it up. Remember as always, I’m here for you, I believe in you, and I’m rooting for you, but you have to, you have to, come on, say it with me, say it loud, say it proud, take action! Have an awesome amazing day! And I’ll see you right back here on the next episode.